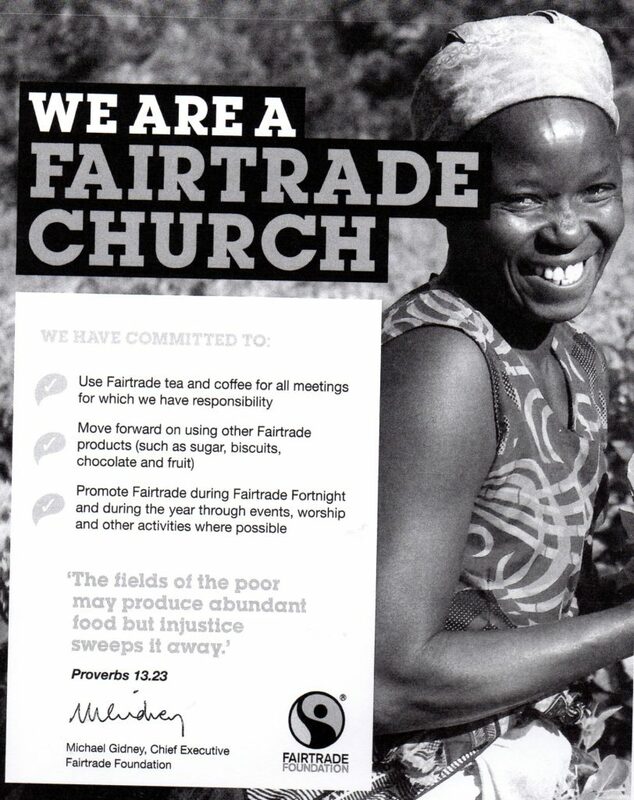 We are part of a Fair Trade Village and we have now registered as a Fair Trade Church. We will be celebrating this at our next All Age Worship at 11.00 a.m. on Sunday 17th February. And on the following two Sundays (24th February and 3rd March), which fall in Fair Trade Fortnight, a stall will have some Zaytoun fairly traded produce from Palestine, including organic olive oil, will be on sale after the service to mark Fair Trade Fortnight. And we are looking out for news of the return of the village’s Fair Trade train on Saturday 2nd March.